Similar to the average teenage girl of nearly every first world country, Smaland enjoys spending time with friends, singing, and free-style dancing. In pursuit of her interest in singing, she joined the Lampeter-Strasburg High School choral ensemble, where she exercises her vocal skills amongst fellow musicians. 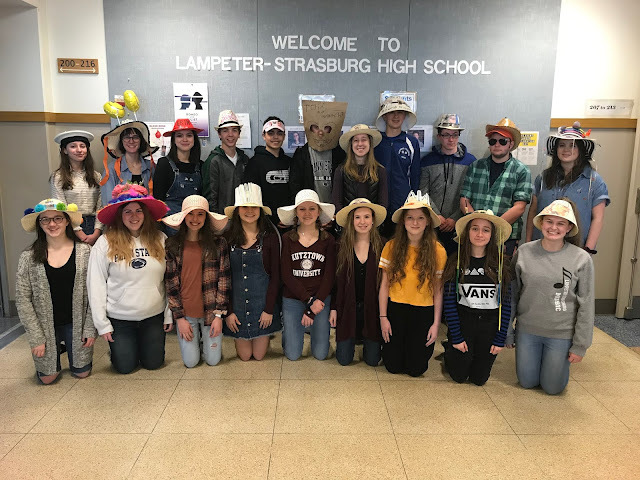 Additionally, Smaland is a part of the school’s community service club, Interact, which is currently busying its volunteers at the local West Lampeter Township Fair. Back at home, Smaland is the baby of her family. Two big sisters, one big brother, one older half-sister, and an older half-brother make her the youngest of five siblings. Though spending a year in the U.S. also entails being away from family for an extensive amount of time, Smaland and the three other exchange students attending L-S High this year (all female) have formed a friendly quartet, unified by their similar experiences in an unfamiliar land. Together, these four ladies take on new perspectives of their world, learning day by day what it means to be an American student.